Novel Publicity relies on people like you, readers and bloggers, to make our authors’ work leap off the screen and into reading devices across the globe. So we decided to ask our authors to donate to a huge giveaway thanking you for all your time, and take part in this blog series. From now until the end of the month, authors are writing posts for you, instead of the other way around! 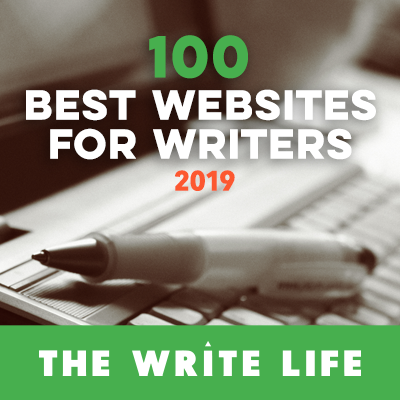 Check out their thoughts, gripes and writerly advice here, and don't forget to enter the giveaway at the bottom of the page. While I’m as big a believer as anyone else in the whole “just do it” mentality, when it comes to buckling down on a project, I have to admit I’m always on the look-out for an edge in the process. To that end, here are seven things that work for me from time to time. Get a dog. Well, it doesn’t have to be a dog. Any kind of a pet will do. The reasoning behind this is that having an animal nearby while you work promotes trust and team cohesion. On the other hand, if you work alone, and collaboration is not an issue, skip the dog and get back to work! Kill the commute. If you write in your back bedroom, go on to the next item on the list. If you have a job that forces you out of the house, a new finding has revealed that a commute of much duration significantly decreases your quality of life. Not really a jaw-dropper for most of us. Use all your vacation days. An article from the Harvard Business Review reported that “More than half of all Americans …fail to take all of their vacation days.” Before I worked for myself, I struggled to understand people who didn’t take paid days off from work. Now that I do what I love for a living—writing fiction—I have to force myself to walk away from the computer for any length of time. But I know—just like when I was working the crappy office job—I still need time away to refill the creative well. Get pissed. And I mean that in the American sense, not the British. New studies show that getting angry (sad works too) is a key driver to creativity. This makes sense if you’ve ever knocked out some of your best work right after you were dumped, got fired, or lost your cat. Anger, it seems, fuels idea generation while sadness drives us to work harder. Susan Kiernan-Lewis is the award-winning author of the Maggie Newberry Mysteries—the cozy mystery series set in Provence—as well as the dystopian thriller series “The Irish End Games.” Susan has a background in advertising and has worked in the multiple countries in ad agencies as creative copywriter/producer. Follow her on Twitter, Facebook or Instagram and check out her heart-pounding page-turners wherever ebooks are sold. The Maggie Newberry Mysteries, The Irish End Games, The Mia Kazmaroff Mysteries, and the romantic suspense time travel trilogy, Ella Out of Time. [jbox color=”blue”] Join our New Years Blogger Giveaway! 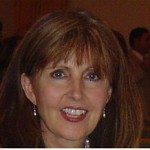 Susan Kiernan-Lewis was one of the fabulous authors who donated one or more prizes for our Blogger and reader giveaway this month! Check out all the prizes and enter the rafflecopter contest below.